Fort Lauderdale, FL., Feb. 9, 2015 – Grammy Award Winning, Multi- Platinum Super Producer “STREETRUNNER” has earned another GRAMMY®. Last night, in Los Angeles STREETRUNNER was with his artist R&B singer AdELA (formerly signed to Team Snooki) and his manager Jay Rob Management, when they heard the announcement that he Won. This year he welcomed a nomination and won for Rap Album of The Year (Eminem – The Marshall Mathers LP 2), for his production on the album. With a total of Five Nominations, Two Grammy wins, Six Gold Records, Two Platinum and Three (2-4x) Platinum Hits, it has been quite a career for this Fort Lauderdale based Super Producer. STREETRUNNER continues to augment his already-stellar career with music industry heavy hitters, including working with The Game and R&B Diva Faith Evans, as soon as he touched down in Los Angeles. 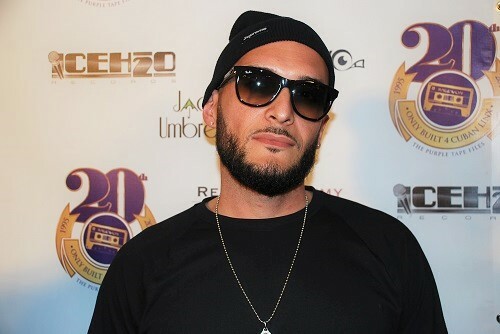 STREETRUNNER real name Nicholas Warwar, began his music career as a DJ and gained recognition as a producer in 2004 with the Billboard charting hit single “Take Me Home” by Terror Squad. He has since become a major fixture as a high-profile Super Producer, working with artists such as Lil Wayne, Eminem, Fat Joe, Fabolous, The Game, Ludacris, 2 Chainz, Rick Ross, LL Cool J, Nicki Minaj, Slaughterhouse and DJ Khaled. During his California trip STREETRUNNER was shadowed by the masters of professional quality television recording booths “bBoothTV”. 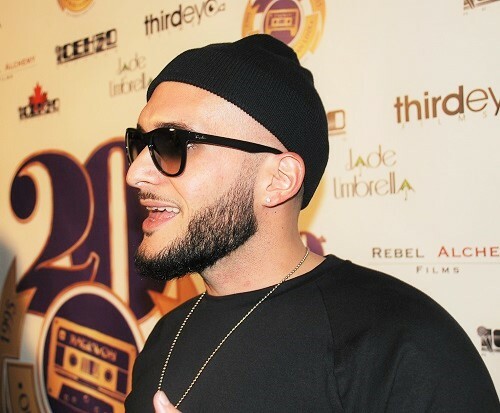 They covered him as he attended several Red Carpet events including the ASCAP Brunch, Raekwon and Ghostface Killah #PurpleCarpet” screening and The Grammy Awards – THE SOIRÉE pre-party at the House Of Blues.